Our range of products include lift backup ups. 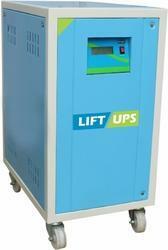 We manufactures the 3 Phase Lift Backup UPS .Those are used for Building lifts Backup ,in case of Power failure. These are the special type design Inverters ,with IGBT Based ,DSP Technology.